Artwork by Sharon Goods at Kaleidoscope from March 1-April 30, 2019. 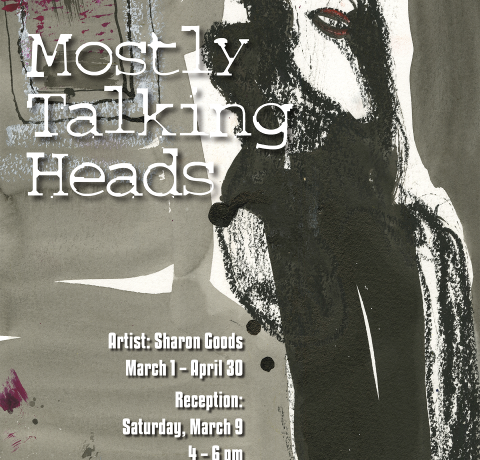 Reception is March 9, 4-6p. Public is welcome! 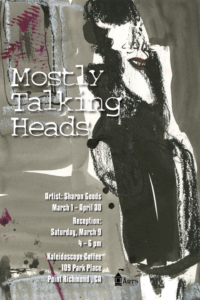 This exhibit, “Mostly Talking Heads” – is a departure from Sharon’s typically abstract figurative art. She describes this work as “more graphic novelesque.” Images and words depict the humor, angst, absurdity, and vulnerability of the human drama.